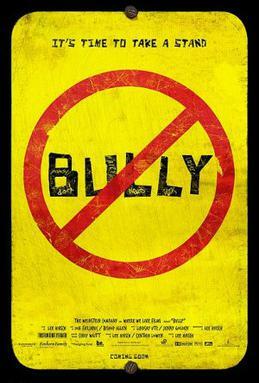 On its surface, Bully is a document of social dysfunction and a weapon for awareness and advocacy. Lee Hirsch’s documentary focuses on five students from across America’s so-called “Heartland” (more on that hoary, misleading concept in a minute) who face bullying from their peers at school and react to it in different ways. 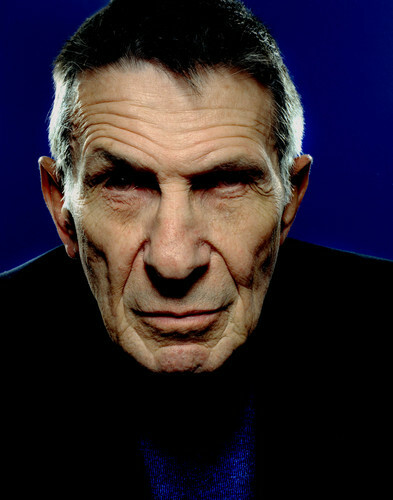 Some try with awkwardness to either fit in or avoid torment or both in fluctuating uncertainty, others demonstrate extraordinary strength of will and moral character in the face of prejudice but ultimately seek out a more accepting milieu, and still others are driven to self-harm and even suicide by the rejection and abuse of their peers. In some cases, parents are highly supportive, in others oblivious or wrong-headed, and in the most extreme and tragic have become public crusaders for anti-bullying action. Bully is about all of these people, their struggles with a harsh world and their hopes for a better one. But on another deeper and more fundamental level, Bully is about the tyranny of “tight-knit” small communities and the deadening indifference and willful blindness of the institutions that define them. It’s about the failure of social systems as a ssuredly as (if more microcosmically than) The Wire, with the primary failed system being the schools. 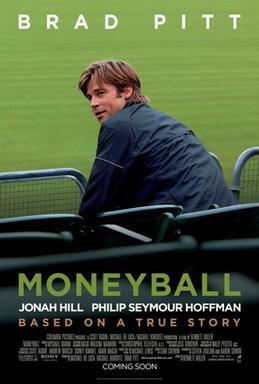 This is not a failure of education, of intellectual and practical preparation for the rigours of a competitive capitalist economy like the standard school-focused liberal social documentary film tends to be (or like The Wire‘s own treatment of schools). It’s a failure of social structure that goes beyond small-town American schools but is magnified terribly in them: the instinctive ostracism of difference, no matter how insignificant, and the punitive measures marshalled against disobedience to that assumed norm. Documentaries like Waiting For “Superman” focus on schools in urban areas because education levels are the primary issue there. Bully finds its resonant case studies in smaller communities because exclusion and enforcement of homogeneity are rife in such places. A document like Bully exposes the conservative myth of the “Heartland”, a morally upright and common-sensical belt of friendly small towns where everyone gets along (as long as they’re white and straight) and modern anxieties are kept at bay, as the craven and pernicious lie that it is. Everyone gets along in these communities only to the extent that they admit no variation from their rigid set of shared values. Perish the thought that, like one strong-spirited young girl in Oklahoma, you happen to be gay or otherwise marked out from True American microculture. Bullying is the weapon of school-age socialization in such places, the blunt instrument of conformity to the local order. The most incredible subjects in Bully are the passive (and even active) enablers of the bullying culture in positions of authority in the schools. They shame and blame the victims of regular abuse, gloss over parents’ complaints with plastered-on smiles, and generally protect not the bullied but the bullies from any meaningful consequences for the deep psychological damage that can be inflicted by acts of bullying at such an impressionable age. There are scenes shot at rallies and marches against bullying with large crowds turning out in support, but very few of sympathetic and effective school administrators meaningfully addressing the problem head-on. Hirsch does not come straight at the reason for this dissembling and avoidance by authorities, but it becomes fairly evident to the initiated and knowledgeable. Confronting bullying does not simply involve punishing bullies, nor does it extend to the uncomfortable position of informing parents that they have raised little people who prey on the weak, the isolated, the divergent (a failure in nurture in social inclusiveness terms, but a measure of success in far too many segments of American life). Confronting bullying means facing up to the unsettling social truths at the core of Middle American life. It means admitting that the close-knit conservative community model encodes certain exclusions and prejudices and basic unfairness by design, that it surveys out social fissures that cannot but open and divide in good time. It means that adhering to this social model will always leave some children behind (as its larger economic model leaves some adults behind) and that, contrary to jingoistic propaganda, these youthful abandonments will not be on the basis of value or merit but upon value-judgements considerably more arbitrary and unjust (also as it is with adults). Schools and other small-town institutions cannot confront bullying because then they would have to confront the whole panoply of cloaked pathologies that underlie conservative American life. The society they hold dear could not bear up against such scrutiny. The psychological suffering and identity scars of the minority who do not conform to the enforced socialization of small-town American schools are necessary sacrifices to maintain a comforting illusion for the majority of these communities. Bully presses its message into placard-carrying protesting solidarity, but the image of American society that it presents is not one whose pathologies can be meaningfully addressed by a few rallies. It is a cancer that goes far deeper and cannot easily be cut out. For whatever reason, on television in Britain, the murder mystery and police/crimes procedural genres are able to encompass and express a greater variety of meanings, themes, and sociopolitical implications than their American TV equivalents. U.S. entries into the genre – especially from the endemic, formulaic glut of CSIs and NCISs and Law and Orders – are generally prisms for a fevered nightmare vision of crime and unreserved enthusiasm for morally unambiguous punishment (often of an extra-legal, state-mandated vigilantist sort) redolent of right-wing American fantasies. But British television, especially the BBC (although also its more conservative private competitor ITV), can often employ the genre’s conventions to explore and comment upon a wider range of ideas. Perhaps the historical overlap between British playwriting and teleplays has opened a conduit of greater literary depth that is tapped by the best (and even some of the less-best) TV dramas, which tend to be more tightly-structured and on shorter runs than their American equivalents (a prestige cable narrative like True Detective is an obvious exception). Or perhaps the genre itself simply has a different profile in Britain, where it has a deeper and richer literary tradition (although, ironically, its key early texts followed the example of an American, Edgar Allen Poe). Whatever the sources of this breadth, you can see it across notable British genre television: the sashaying wit of Sherlock, the bruised local whodunit of Broadchurch, and the historical recreation/commentary on social dynamics of period shows like Ripper Street, The Bletchley Circle, or, heck, even Downton Abbey (though procedural it is not). But evoking a wide range of ideas need not hamper the entertainment value or even the sensationalist frisson of the murder mystery genre. All of this very much self-evident in The Fall, one of the best iterations of the form in recent broadcast history. Set in contemporary Belfast, Northern Ireland, The Fall focuses on the contest of minds and wills between a focused and self-assured female inspector (Gillian Anderson) and a meticulous, double-life-maintaining serial killer of women (Jamie Dornan). The series, written by Allan Cubitt and directed by Cubitt and Jakob Verbruggen, builds towards the two opposing characters’ final confrontation as nemeses but also presents their fascination with each other as supra-professional, with a quality of romantic interest if not intense psychological desire. This latter suggestion unsettles (if not undermines) the dominant feminist overtones of the series in its closing movement. Anderson’s Stella Gibson, a visiting Detective Superintendent from London’s Metropolitan Police, is in Belfast to conduct a review of the local force’s investigation into the high-profile murder of the wife of a local business scion. Her mission soon expands to leading a larger inquest into the case when she connects it with other similar murders of professional women, as well as to battling against the patriarchal assumptions of this provincial locale’s policing which hound her at every turn. Stella Gibson knows what she wants and what is required to do her job right, and treats bull-headed males that stand chauvinistically in her way with the cool contempt that they richly merit. Soon after arriving, she has a one-night stand with a hunky, younger Detective Sergeant (Ben Peel). When he is later killed and revealed to be married with kids, her male colleague investigating the case makes sexist insinuations that she efficiently bats away; why shouldn’t she have pleasure on her off-time (besides the obvious thorny professional questions, which are ignored)? She also negotiates her interactions with the PSNI’s Assistant Chief Constable (and her former lover) Jim Burns (John Lynch) with skill and subtle condescension. She’s on his turf and must tread lightly to obtain his cooperation, but he’s an unimaginative and weak-willed bureaucrat and glad-hander more concerned with public image and the politics of department funding than with shepherding along effective investigative policing. More than any other outlet, Stella’s feminism is expressed in her moral position vis-à-vis the predatory crimes of her nemesis, the serial strangler, sociopath, married father of two, and grief counselor Paul Spector. Dornan, soon to have his career either blown up huge, ruined, or both by a lead role in 50 Shades of Grey, makes a strong, fiercely creepy impression as Spector, with his inscrutable gaze, nighttime stalking habits, and semi-simian strolling walk. He loves his young daughter Olivia (Sarah Beattie) with a fondness that mirrors the intensity of the perversion that drives him to strangle women and then meticulously arrange them in poses of pacified idealization. What Stella (and therefore The Fall) refuses to lose sight of when it comes to Paul Spector is the smug, self-important misogynistic assumptions that underscore his litany of crimes. 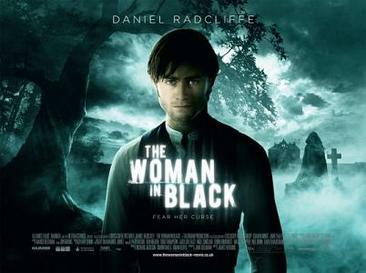 This type of generic narrative has a tendency (especially when told in an American context, but not exclusively then) to underplay the social and behavioural implications of violence against women even while exploiting that violence for sensationalist shock effect or to establish a given text’s artistic “seriousness”. The manner in which the arbitrary application of patriarchal force and sexualized violence by men against female victims terrorizes women everywhere and proscribes their agency and security is buried from the get-go (the common feminist truism is quoted in one episode: “Men are afraid that women will laugh at them; women are afraid that men will kill them”). The resolution of this essential tension is customarily subsumed by the protective male application of justice on behalf of “damsels in distress”, frequently through the use of violence that is coded as righteous in opposition to the violation of the killer’s acts. The Fall constructs Stella’s efforts to identify Spector as the killer and bring him to justice as a struggle against patriarchy, but it’s hardly that simple or unproblematic. 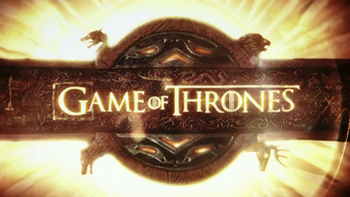 To expound upon precisly why requires a discussion of the series’ “ending”, and so an uncharacteristic spoiler alert is in order at this point. The second season finale features a showcase conversation between Stella and Spector in custody in which the latter confesses to his crimes in full but stubbornly resists and challenges the former’s position of power and authority; both actors look into the camera (and therefore at us) while offering clear-cut diagnoses of each other’s behaviour and motivations, and what might have been the climactic resolution of a lesser story merely heightens the tension of this one. Following this scene, Stella has some pillow talk with her latest Detective Sergeant lover, Anderson (Colin Morgan). Having already acknowledged Anderson’s general physical resemblance to Spector in the course of interrogations, the DS wonders if she thought he resembled Spector in other ways. Anderson admits that Spector is a fascinating figure, for all of his inhuman monstrosity, but Stella, who in an earlier episode contradicted a stark labelling of Spector as a monster by Burns, offers a blunt feminist assessment of Spector as a horrid being unworthy of “fascination”. Spector is taken to the woods outside Belfast in the closing sequence to lead police to his final victim, a former lover that he abducted and imprisoned for suggesting him to the police as a suspect. There, cuffed to Anderson as a minder at Stella’s insistence, he and Anderson are both shot by a Shankill Road thug who Spector made an enemy of in his predatory activities (it happens moments after Spector mentions to Anderson that something is clearly going on between him and Stella). Stella rushes to the cuffed, injured pair, and chooses to cradle the head of her enemy Spector, not her lover Anderson. It’s a final image of corporeal intimacy between The Fall‘s two contending leads, and it suggests not so subtly that behind Stella Gibson’s overt identity as a righteous feminist avenger lies a deep and disavowed desire and attraction for a figure that represents everything that repulses her and drives her sense of justice. It’s a problematic twist to the feminist politics of the show that ends the narrative (we assume; Dornan at least has hinted at future seasons) on a note of contradictory, complexity, and uncertainty that demonstrates how the murder mystery police procedural genre can malleably expand its boundaries of signification. Considering the centrality of the American Revolution in the history of the United States and in the identity construction of Americans from the Civil War to today’s Tea Party, it’s a bit surprising that th ere have been basically no classic portrayals of its events in the movies or in other media. Perhaps a narrative that is forced down the throats of American schoolchildren in history class needs no fictional component to support the textbooks. Or perhaps that narrative is already so full of fictions that a story of the War of Independence would be rejected by audiences if told with historical fidelity. You won’t get such historical fidelity from Sons of Liberty, even if it did air on the History Channel. You’ll get a beautifully shot, seriously acted, tightly constructed version of the key early moments of America’s founding struggle for self-determination and nationhood as a grimly masculine action movie. Rebels against tyrannical British rule sneak like nimble ninjas across rooftops, blood spurts from musket wounds, and everyone from silversmith Paul Revere to paunchy middle-aged brewer Samuel Adams is a handsome young warrior with a martial artist’s grasp of hand-to-hand combat. As history, Sons of Liberty is garbage, as Thomas Verenna lays out exhaustively and convincingly for the Journal of the American Revolution. The most egregious of its mistruths is also the one that undergirds all American populist conceptions of the Revolution: the tyrannical oppression of the colonies’ British overlords. Genre mainstay Marton Csokas appears as General Thomas Gage, a sadistic, sneering, cartoonishly evil redcoat villain who breaks laws and moral codes with impunity. The real Gage, as Verenna lays out, was frequently criticized by colleagues in the colonies and back in England for being too fair-minded, lenient, and liberal in face of the increasingly provocative agitations of the Sons of Liberty. Modern Americans, self-defined by a love of liberty (especially in economic terms) and a distaste for raggedy “European”-type protests and revolts, must need have a tyrant to justify a rebellion that was, historically speaking, quite radical if not wholly unprovoked. Sons of Liberty, with its ninja patriots and perfidious Albion stereotypes, give Americans the dramatic Revolution that they imagine they mounted, not the equally dramatic one that actually happened. We’ll have to continue to wait for an onscreen treatment that provides the latter. 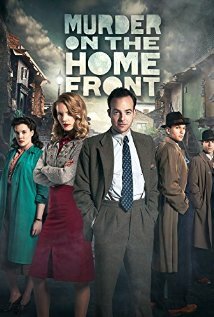 A period-specific entry into the endlessly flexible British television murder mystery procedural genre, Murder on the Home Front is a one-off TV movie take on the genre set during the London Blitz of World War II. As German bombs fall, buildings crumble, and civilian bodies stack up, unorthodox, forward-thinking medical examiner Lennox Collins (Patrick Kennedy) enlists intrepid reporter Molly Cooper (Tamzin Merchant) as his assistant in a proto-forensic inquiry into a series of murders. Collins must contend not only a killer and a continuing enemy bombardment, but also with his cynical, conservative supervisor Professor Stephens (James Fleet), a police force that is often corrupt or incompetent or both and contaminates crime scenes with clumsy regularity, and a snaky dance club owner with organized crime ties (Ryan Gage). Murder on the Home Front is often frothy stuff, inserting copious suggestions of sexuality into the normally austere social picture of the Blitz period in London. When you could die any day in a nasty explosion, why not dance and screw your nights away? Still, one feels it’s laid on a little thick. So is the by-the-numbers romantic plot between Collins and Cooper, whose weakness is made especially apparent by the lack of chemistry between the casual, smirking Kennedy and the plucky but spacy Merchant. The real delight is Gage, who played Alfrid in The Hobbit movies and brings a similar pause-heavy sliminess to suspicious gangster Danny Hastings. I don’t have the requisite knowledge to assess the level of forensic science accuracy in the historical period (though, as a recent Frontline suggested, not much of it beyond DNA testing is actually reliably scientific). But this watchable, involving, but often pulpy and predictable mystery does not overstay its welcome in TV film mode as it might have as a series.